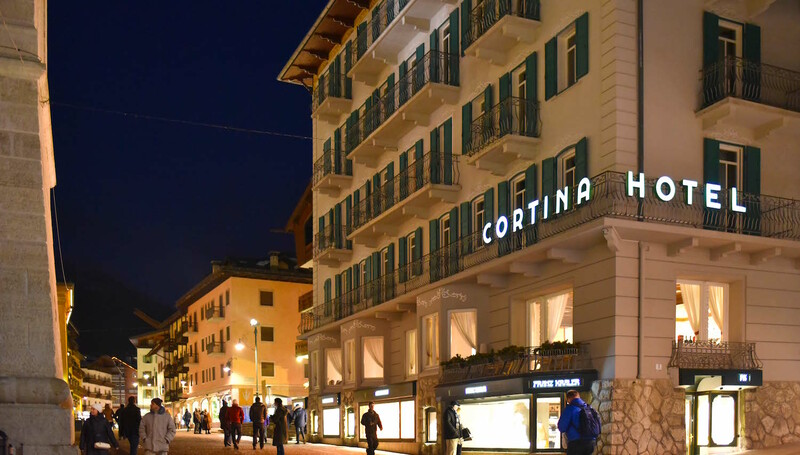 Cortina in undoubtedly Italy’s most exclusive destination. 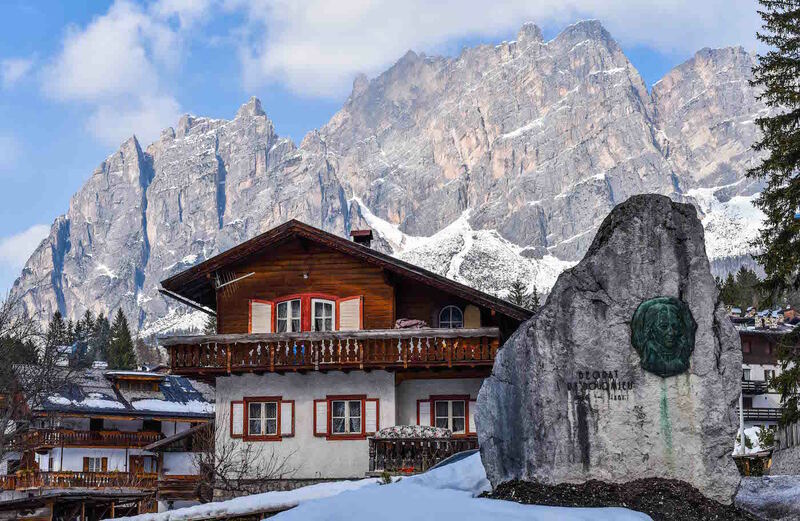 This pretty and historic mountain town is overlooked by spectacular peaks of the Unesco World Heritage Dolomites whilst the town centre is similarly dominated by the 70 metre high bell tower and encircled by grand 19th century mansions. This is a town where the matter of skiing plays a definite second fiddle to the social sport of seeing and being seen. The central area is attractive and pedestrianised; the Corso Italia lined by elegant boutiques that include some of the most prestigious names in fashion, including Bulgari, and Gucci. Despite the exclusivity however it would be wrong to try and compare the resort with the likes of Courchevel, Zurs and St Moritz – the most recent rounds of oligarch-like excess having passed Cortina by. There are no multi-million pound chalets with private pools, exclusive private clubs and expensive champagne bars. No ostentatious displays of wealth or city brokers. 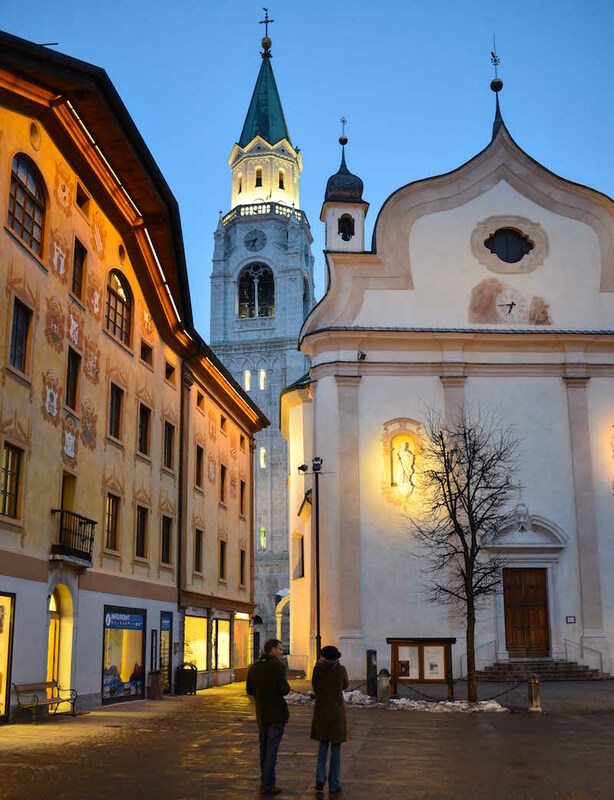 This most definitely is ‘a good thing’ – the town is all the better for it and Cortina retains a real Italian feel and a warmth and humour largely absent in its swanky competitors. 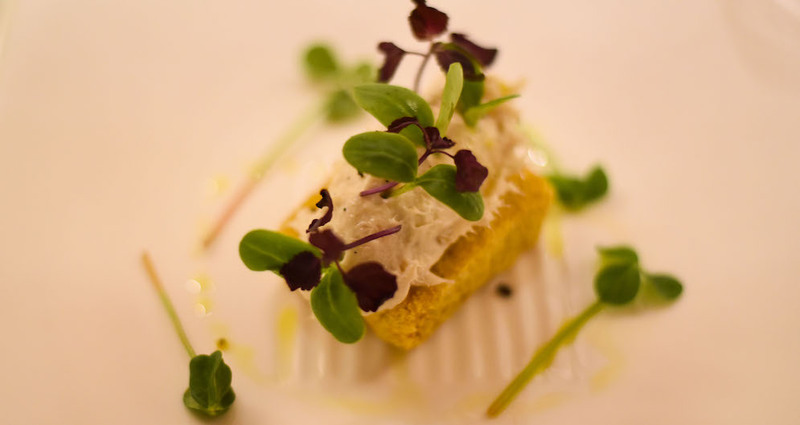 There are of course some slick 5 star hotel in and around the town but for once we would recommend side-stepping these: opt for one of the more local style 4 star hotels in the resort centre and spend some of your savings on the wonderful local cuisine. 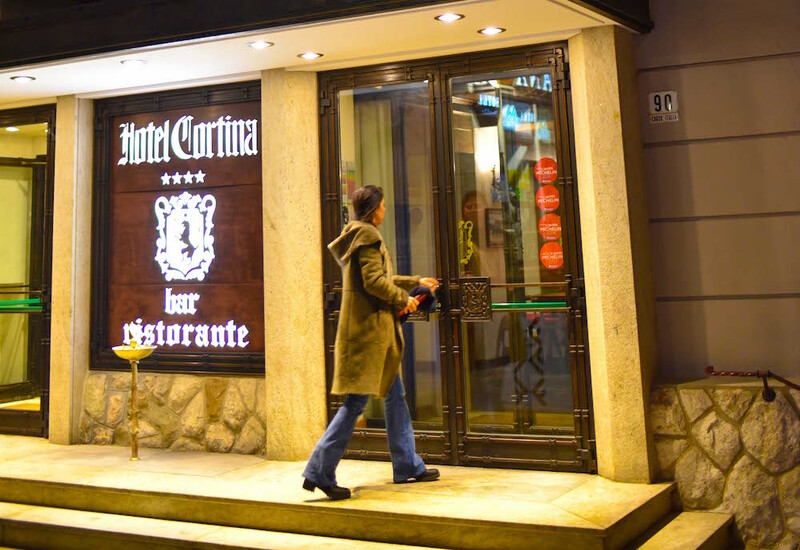 Our pick is the Hotel Cortina, a mid-sized family run hotel that dates back to the 1870’s. The pleasant rooms have a nice mountain feel whilst the the restaurant is one of the very best in town, more than making up for a missing 5th star. 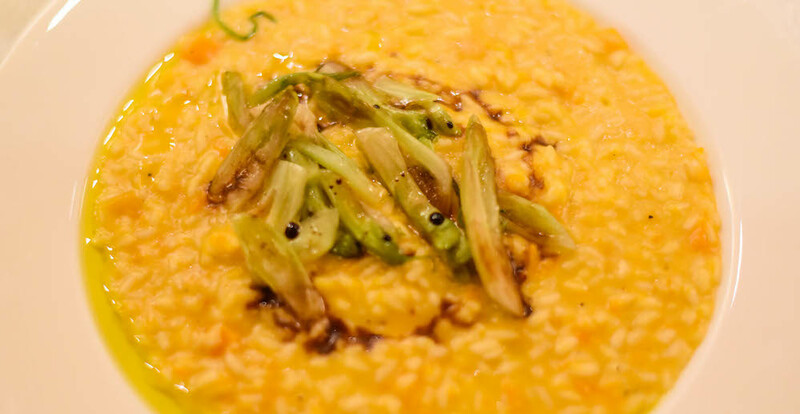 The location is great too – the spectator sport of people watching on the Corso Italia is at your doorstep, as are the nicely varied bars, restaurants and enotecas of the pedestrian zone. 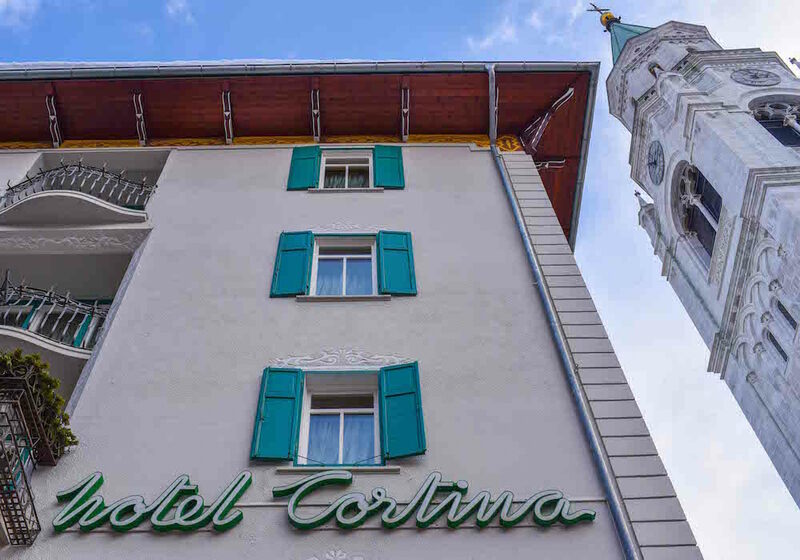 For the ski season the Hotel Cortina is just 300 m from the Faloria cable car and 50 metres from the free ski shuttle bus stop. The resort is of course on the phenomenal Superski Dolomiti lift pass – the world’s largest area. 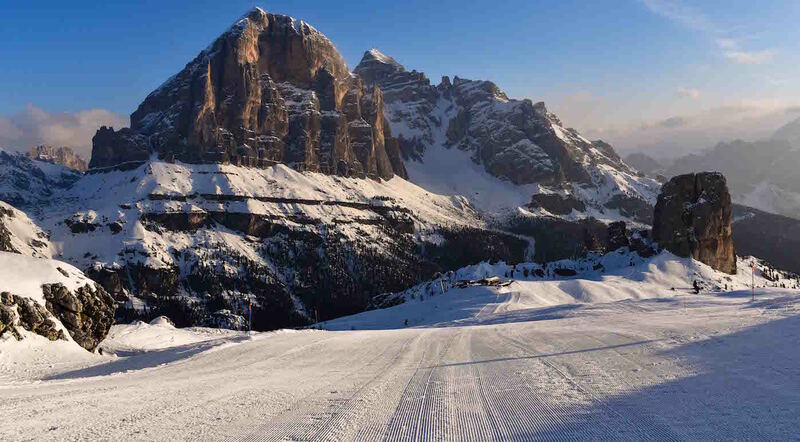 Cortina’s 115km of marked slopes (covered on a local lift pass) best suit intermediates and experts whilst it is connected via a bus ride into Sella Ronda circuit (all covered on the Superski pass). The free bus takes you to Passo Falzarego and the cable-car up to the 2,788m summit of Lagazuoi. From here you head down the Hidden Valley to the hamlet of Armentarola and on to San Cassiano and the rest of the amazing Dolomiti circuit. There are twelve regions in this loosely interlinked ski area with 1,200 kilometers of slopes and 450 lifts and we would highly recommend taking a guide to make the best of it. 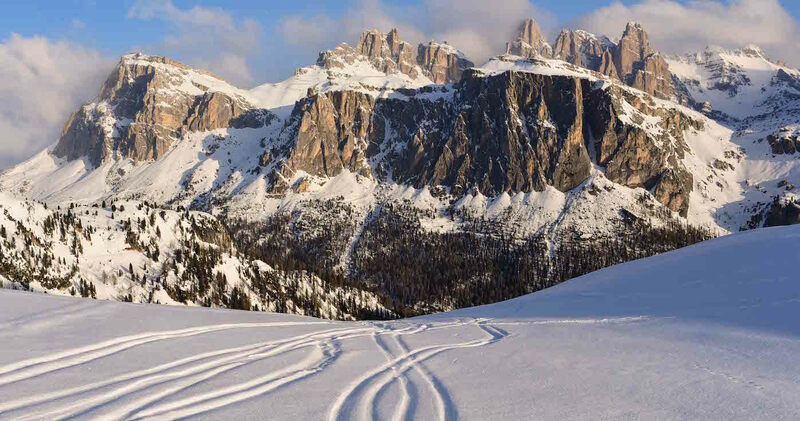 Better still use Cortina as a starting point for a Dolomite Mountain Safari or a luxury gourmet multi-centre holiday. The same advice also applies in the summer when the Dolomites are a world class centre for walking, climbing, biking and via ferrata tours.